Between trying to look like the perfect wife and mother and actually being one, I’m drowning. And Scott is holding my head under as I gasp for air. 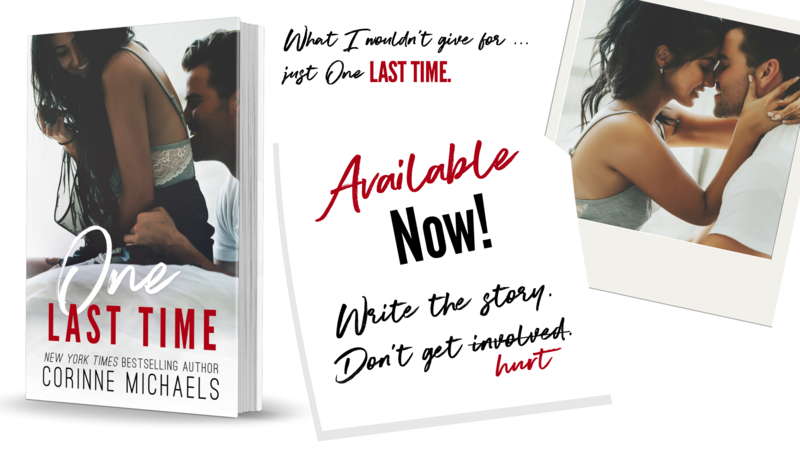 One Last Time is the swoon worthy fairy tale we all dream of. Kristin’s marriage is a disaster. It had been for some time but things have hit the breaking point and she is in the process of getting a divorce. She has been a stay at home mom for her 2 kids, Finn and Aubrey, but now that she is going to be on her own, she needs to find a job. Kristin’s first assignment is to interview Noah Frazier. The Noah Frazier. The Noah Frazier her son watches on TV. The Noah Frazier she sees on the covers of magazine at the grocery store. Noah Freaking Frazier. Noah is on a weekend vacation to visit his friend Eli. He’s being nice by doing the interview with Kristin, but definitely was not planning on Kristin being… well Kristin. Ladies, have some ice on hand because seriously Noah is HOT!! Who wouldn’t swoon over a hot man that can have fun just hanging with someone else’s kids watching Harry Potter movies or playing zoo keeper? Jesus. I never had a chance against you, did I? Told you I was going to win your heart. Kristin was awesome! The life that she and her children knew is changed forever. She could very easily just live in Heather’s old house, rely on Scott for money, and curl up into a corner, but she doesn’t. She faces new situations and leaves her heart as open as she can. With the encouragement of her friends, she is able to truly give love another shot. Noah is an actor and a good one at that. Can he leave the Hollywood life behind for an instant family? The parties, the women at his beck and call, the fast paced life where he can have anything he wants by batting an eye lash – can he live without all of that? Can Kristin live with knowing that Noah is giving up all of that for her and her kids? Will she let him give that all up? 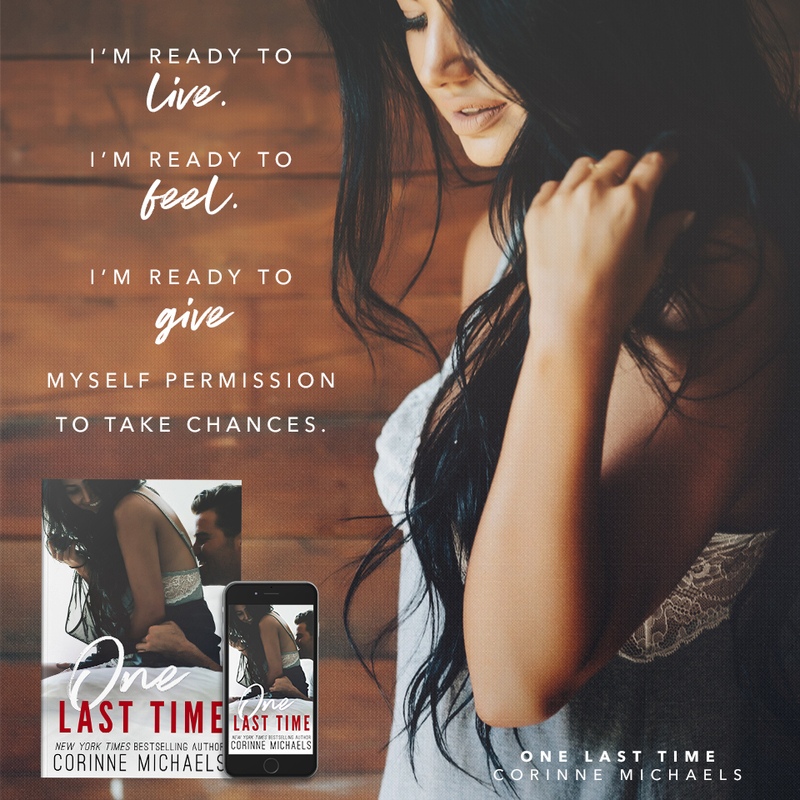 There are so many things to work through before this will work – do Noah and Kristin have the patience to work through it all or will they be together “One Last Time”? One click now – I promise you won’t regret it! 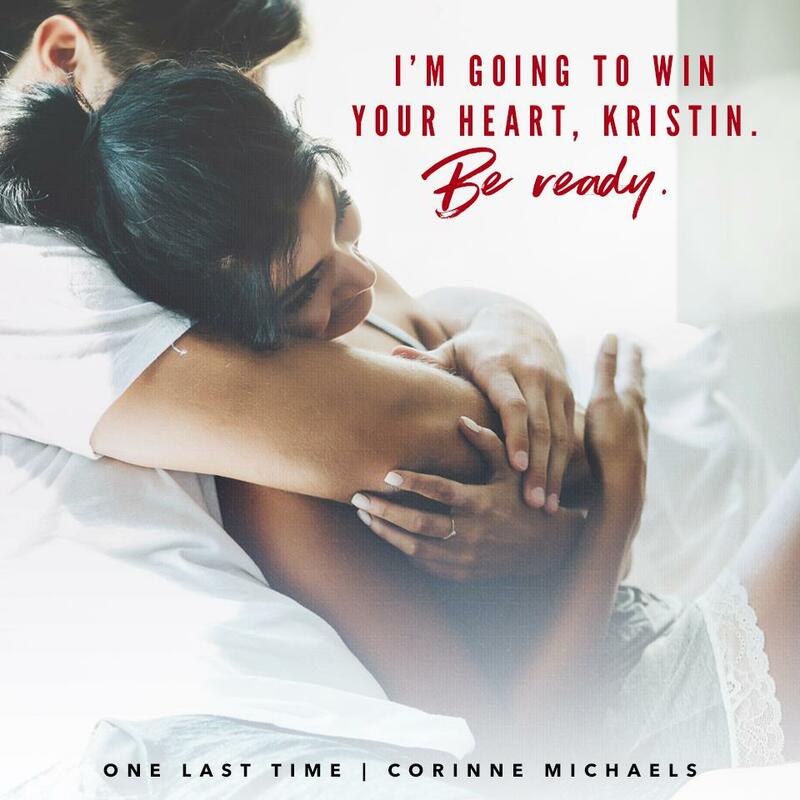 This entry was posted in Blog Tours/Promos and tagged Blog Tour, corinne michaels, Kristin, Must Read, New Release, Noah, Review, stand alone by kmarvin317. Bookmark the permalink.